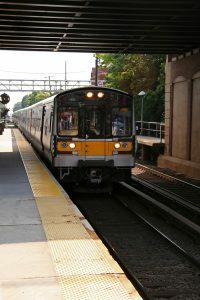 The Long Island Railroad (LIRR) has served as an integral part of daily life for many Long Islanders. Passengers often opt to travel via the railroad over traveling via the roads because of traffic conditions, ease of travel, and the cost of commuting by car. However, growing ridership can lead to more injuries and other safety concerns. According to the LIRR, the number one cause of customer injuries is slips, trips, and falls. To address this issue, the LIRR has created a campaign, “Be TrainSmart: Don’t Take More Than You Can Handle.” This safety campaign provides safety tips and warnings for traveling with excess loads of luggage, proper luggage storage options, and proper entry and exit tactics to and from the trains with luggage and children. Aside from slips, trips, and falls, train accidents have added to recent safety concerns. There were significant and deadly train wrecks on record dating back to 1950, 1962, 1982, and 1988, among others. Several recent incidents have created growing concern about railway safety. On January 4, 2017, a Brooklyn-bound LIRR passenger train barreled through a bumping block situated at the end of the tracks at Atlantic Terminal in Brooklyn. Here, the front car slammed into a room just beyond the tracks and two other train cars derailed. More than 100 people were injured because of the accident. This train crash is comparable to the 2016 Hoboken train crash in New Jersey, where one person was killed and more than 100 were injured. Like the Hoboken-bound train, the Brooklyn-bound train was traveling at twice the speed limit. Following an investigation, both engineers were found to have suffered from severe sleep apnea, which contributed to the crashes. As a result of these train crashes, many LIRR users are more cautious when traveling via the railroad. The growing concern for injury or death that can occur on the railroad has instilled fear in everyday riders. However, train crash-related injuries or deaths that occur because of the negligence of another provide significant grounds for a personal injury lawsuit. If you or a loved one were injured in a train accident, it is important to contact a skilled Long Island train accident lawyer who can advise you of your legal rights and remedies. The attorneys at Levine & Slavit, PLLC have over 60 years of experience representing clients in personal injury actions, including Long Island train injuries. With law offices conveniently located in Long Island and New York City, Levine & Slavit, PLLC represents clients throughout Nassau County and Suffolk County as well as Manhattan, Staten Island, the Bronx, Brooklyn, and Queens. For more information or to schedule a consultation, call (888)-LAW-8088.